The Pinot Noir grape is best known as the red grape of Burgundy, though now it is grown around the world. This grape can be a bit of a prima donna and has a preference for cooler climates. So, no surprise that it is also the red grape of more northern regions of France, into Germany and Austria. Of all vitis vinifera, Pinot Noir may be the most revealing about its sense of place (terroir) as it is greatly expressive of climate, soil, and aspect. This gives Pinot as slightly different “accent,” depending on where it is from. In this case, we’re talking about Alsatian Pinot Noir. Alsace is located in the northeastern part of France, at the border with Germany. In fact, it has been passed back and forth between France and Germany more than once in history. This exchange has not only affected the culture (and architecture), but also the food and drink. 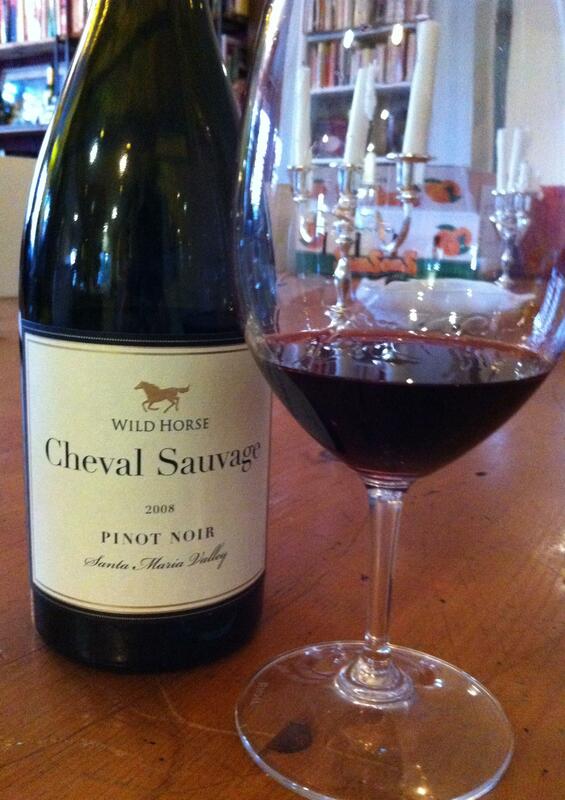 So, here we have a French Pinot Noir that has a slightly Germanic accent… all the better for us, I say! Kuenz-Bas has been producing wine since the 18th century. Grapes are grown biodynamically and vinified with great attention and respect for the natural product. The 2015 vintage was a good one, producing ripe fruits with delicious results. Aromas of cranberry sauce, spiced apple rings (there it goes, speaking German), fragrant violet candies, and a hint of cocoa powder. All the aromas carry through with force on palate. It is juicy with a satiny texture – cool, slick, smooth, and light. The finish is fragrant with the spices and lingering essence of violets. When pairing with food, I recommend simplicity. Roast pork, simply prepared fish dishes, perfectly roast chicken. Nothing too spicy, nothing too heavily seasoned. Let the wine have an equal place at the table. 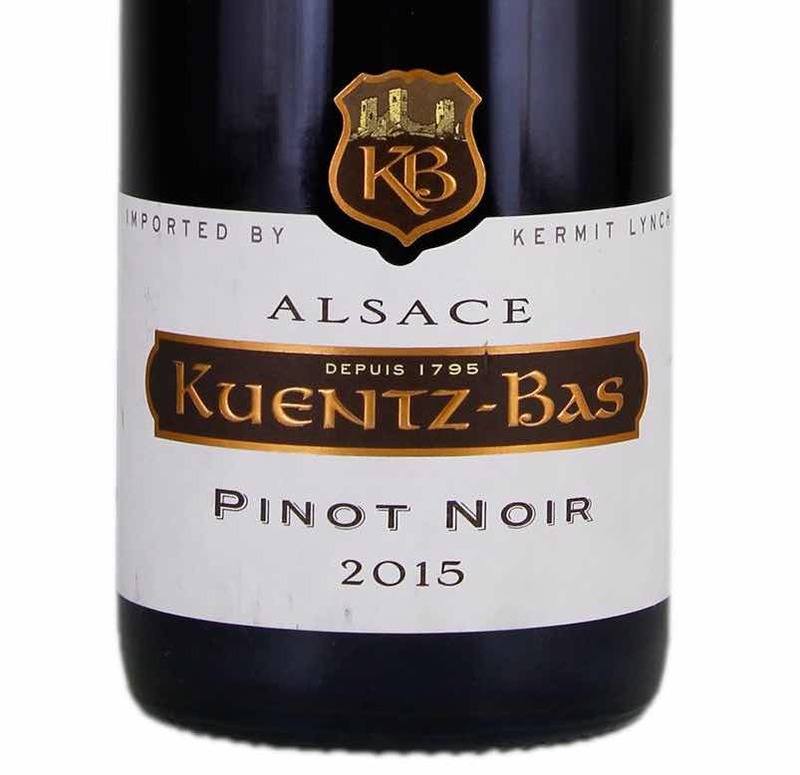 French Pinot Noir is often expected to be fussy and/or expensive… this Alsatian Pinot Noir is neither. It is rather rustic, but infinitely drinkable. I wish I had a case right now! At $18-20/bottle, it wouldn’t be difficult to imagine keeping this as a house red.